Cobra Commander was available as a mail-in offer in 1982. This mail order Cobra Commander was the straight arm version (seen above). In 1983, he would be released as a carded figure with part of series 2. Carded Cobra Commander featured swivel arms. The offer below was inserted with 1982 vehicles. 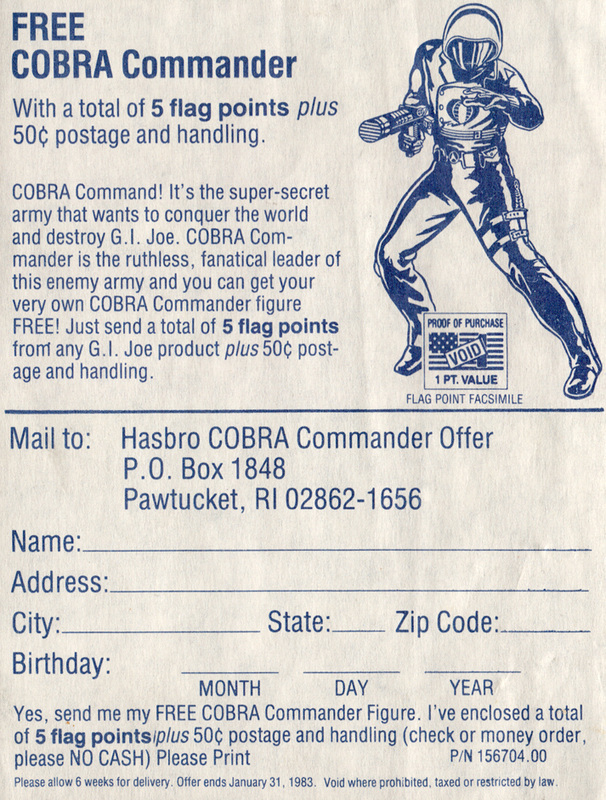 There were also carded 1982 figures featuring the Cobra Commander offer on the front. Kirk Bozigian (G.I. Joe Product Manager) discusses the birth of the Flag Points program and one crazy Christmas in 1982.